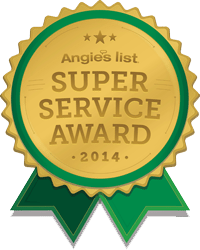 If you live in the Suffolk County area, you know that stinging insects are a real problem. The biggest being that no one wants them close enough to get stung. The sting is uncomfortable and can be dangerous if you have an allergic reaction. 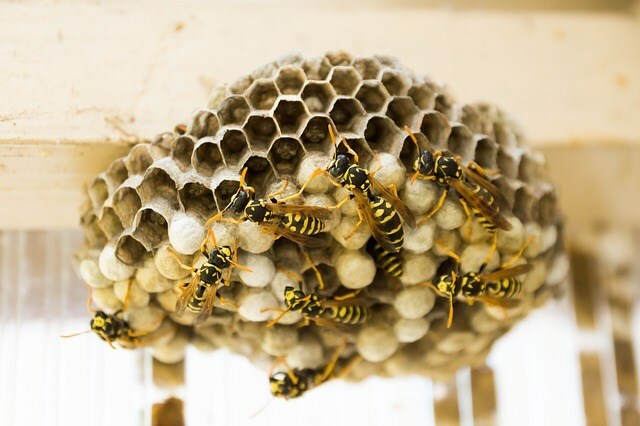 Suffolk County Pest Control offers pest control services that include stinging insects such as carpenter bees, honey bees, bumble bees, yellow jackets, and hornets. These pests are most likely to be found in the spring and summer when most people are spending more time outdoors. 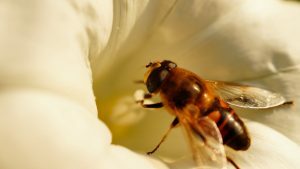 The honey bee may not sound like a big problem but they can be aggressive if they feel cornered or threatened. Although they offer a great product in honey that is used all over the world, they need to build their hive in an area that is suitable and not near a family’s home. Honey bees usually reach about a half inch in length and will become aggressive when they are startled and confronted. Bumblebees are the largest of the bees and can be frightening when you see one fly past you. They can reach up to an inch and a half and are fuzzy. They are not usually found in large colonies because they prefer to stay in smaller groups. They also live in holes in the ground which is different than their other cousins. A yellow jacket is a large wasp that has very distinct black and yellow markings. They are usually found near a nest that is attached to the eaves of a house or in any nearby structure. 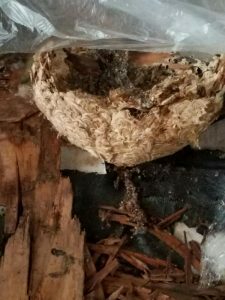 They have even been known to build a nest inside a wall that can lead to some serious home damage. They can become aggressive and will have a painful sting if they can get close enough. A carpenter bee is many times misidentified as a bumble bee because they are very similar in their look and size. The biggest difference is that a carpenter bee is not quite as fuzzy as a bumble bee and they are also found often times around wood piles. They will bore into a piece of wood and can cause some damage to wood structures around your home. These aggressive stinging pests are a problem in the Suffolk County area. They can reach up to an inch and a half in length and are usually found in a swarm that number in the hundreds. Each hornet is able to sting multiple times which can be painful and dangerous to the person that happens to be in their path.